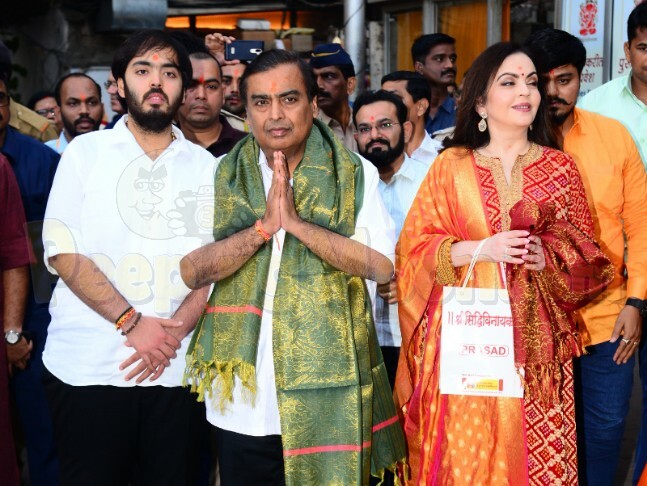 Today, business tycoon Mukesh Ambani along with wife Nita Ambani and younger son Anant Ambani was spotted at the Siddhivinayak temple in Mumbai. 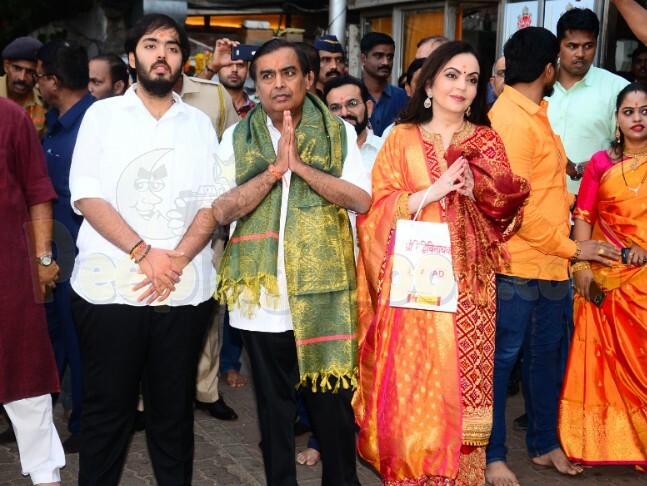 The Ambani family visited the temple to offer the first wedding invitation to the deity according to traditions of their son Akash Ambani and Shloka Mehta. 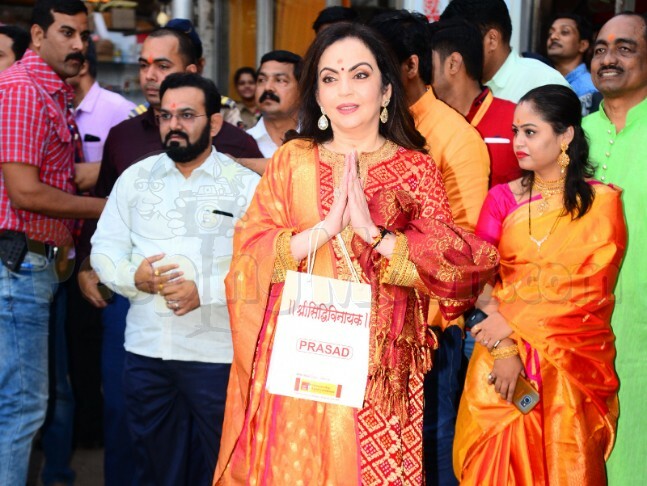 Nita looked beautiful in a red and orange silk brocade suit and paired it up with gorgeous floral-drop earrings. 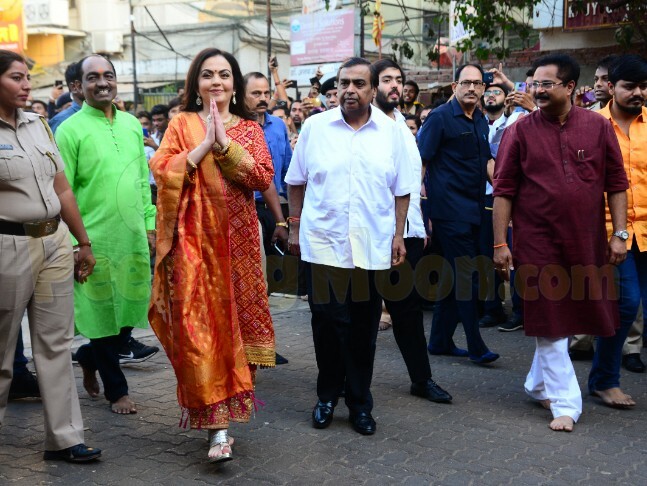 Mukesh and Anant kept in simple in white shirts and black pants. 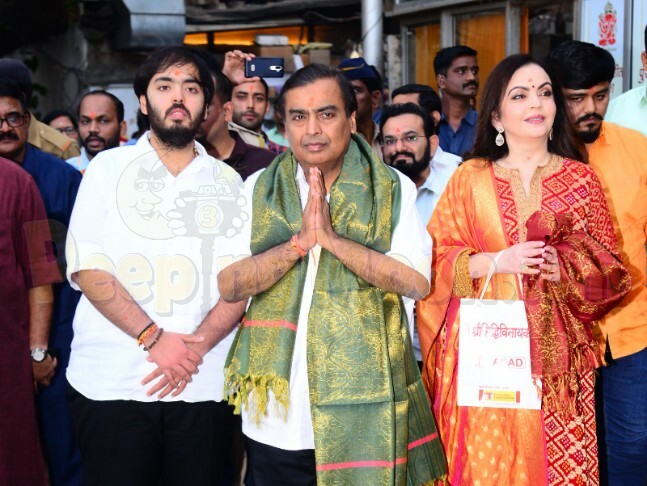 Check out their pictures below. 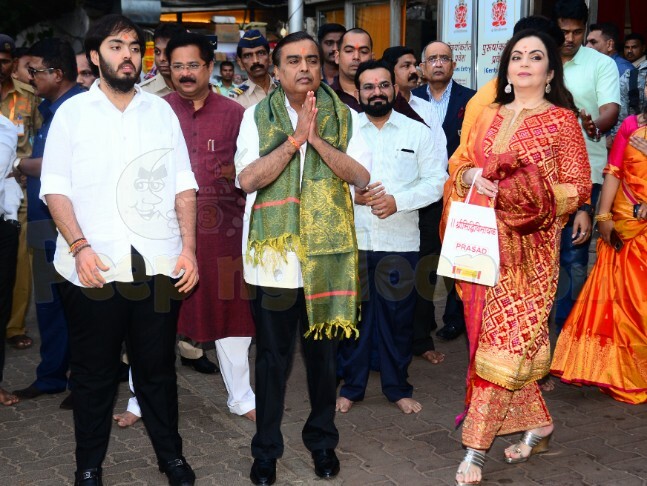 Akash got engaged to Shloka last year in a lavish bash held at the Ambani residence Antilla in Mumbai in June. The wedding is set to take place in March.